A girl is watching the sea life. I love aquarium. I am therefore a frequent visitor of Tokyo Sea Life Park (TSLP, in Japanese "Kasai Rinkai Suizokuen") since its opening in 1989. While my daughter was small, she gave me a good excuse to go to TSLP. Nowadays, I have to go alone or with wife, though the majority of visitors are families with children and young couple! 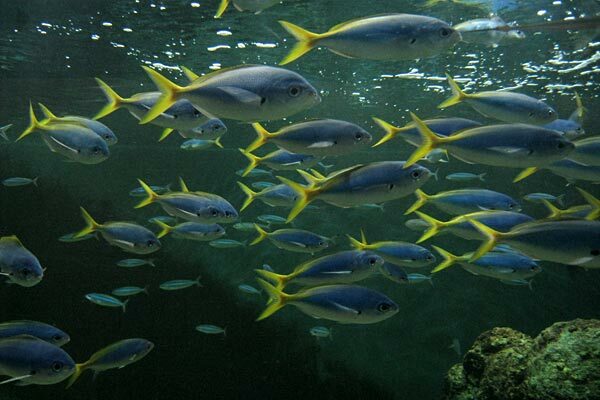 TSLP is the first aquarium in the world which showed bluefin tunas swimming around in a huge tank (See the top photo). It was 1989 and the donut-shaped tank contained 2,200t water. 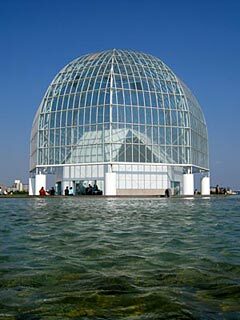 The technological development since that time has made water tanks bigger and bigger, and Okinawa Churaumi Aquarium built in 2002 the largest tank in Japan containing 7,500t with a 8.2 meters by 22.5 meters acrylic glass panel. Therefore, the size of the water tank in TSLP is not any more as impressive as it was. However, the fascination to watch big bluefin tunas swimming without stopping has not faded. The acrylic panel of Okinawa Churaumi Aquarium was registered in the Guinness Book as the largest of this kind in the world. However, the largest acrylic panel is now in Dubai (8.3 meters by 32.88 meters containing 10,000t water) which is made by the same company, Nippura, as the panel for Churaumi Aquarium. TSLP was very popular at the beginning and recorded 3.55 million visitors in the first year, which well surpassed the then visitor record of the Japanese aquariums. 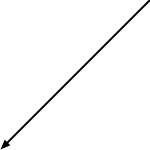 However, as the time goes on, swimming tuna fishes alone cannot attract a great number of visitors any more. The reason for this difficulty is, I presume, the academic manner of presenting fishes in the TSLP. 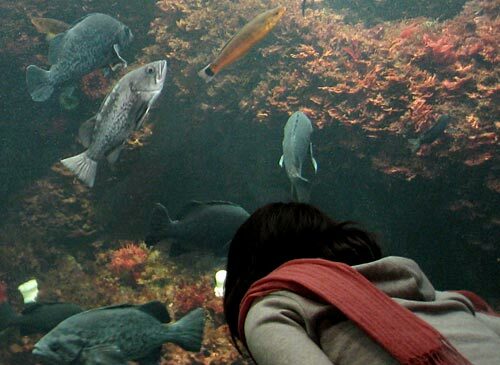 Academism cannot appeal to small children, the most important visitors of aquariums in terms of their revenue. Nowadays, aquariums such as Epson Aqua Stadium in Shinagawa attract more children and their parents with dolphin shows and other attractions in Tokyo area. Those aquariums are more like amusement parks. But, there must be aquariums which understand it as their duty to enlighten people in the world of science, I believe. Therefore, I want to support TSLP and wish it to be true to its raison d'etre and overcome the dilemma. Umeiromodoki (Redfin fusilier) live in the southern sea (above). 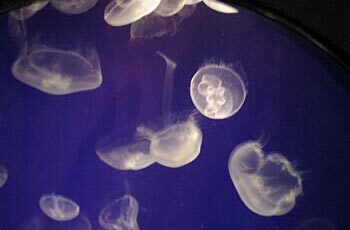 Moon jelly is the most popular jelly fish in Japan (below). The first word "Kasai" in the Japanese name of TSLP relates to the place where it is built. Kasai is the east-most coastal area of Tokyo prefecture. Until recently it was a farmland in the suburbs of Tokyo where farmers used to grow vegetables such as lotus roots to sell in the capital (**). When the industrialization of Tokyo progressed in the beginning of the 20th century, Tokyo in particular the area west to Kasai started to sink due to over-pumping of underground water and natural gas. The destruction of factories by the American air raids stopped the sinking for a while, but it started again in the 1950s and 1960s. Kasai was not the worst area, but between 1890 and 1970 more than 2 meters subsidence occurred in a part of Kasai, alone 23.89cm in 1968, and the 178 ha area went under water and the precious tideland "Sanmaizu" was endangered. There is one reference to Kasai in the total 26 volumes of Engyo Mitamura's work about Edo. Kasai was known to the Edo citizens for its "owai-bune" (farmers" boat) to transport human excrement from urban households to their field to use as manure. Engyo reported, young maidservants in Edo hesitated when people associated them to "owai-bune". This forced the Tokyo metropolitan government to make a plan to stop destroying natural environment and at the same time to reclaim and develop land in 1970. I was living in Kasai between 1979 and 1984 and could watch making new land and facilities. 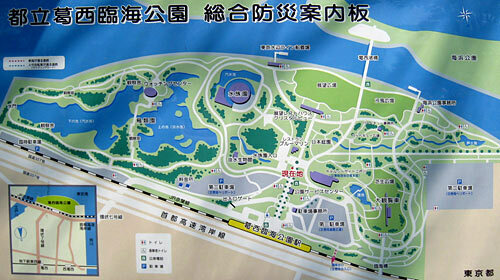 Now, TSLP is a part of Kasai Rinkai Park (Kasai Waterfront Park) which is about 80 ha large and includes bird sanctuary and beaches. 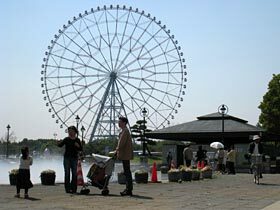 In the amusement park there is a large Ferris wheel. Unfortunately the opening hours of the aquarium are rather rigid. We can enter TSLP only between 9:30 and 16:00 and stay till 17:00. 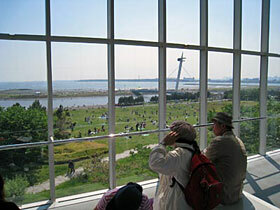 However, the park is 24 hours open and you can enjoy there the evening sea breeze from Tokyo Bay.